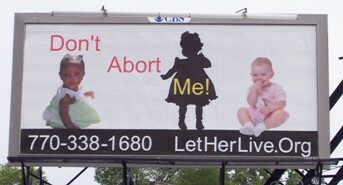 Let Me Live: Will God Forgive Me If I Abort? Recently a pro-life counselor and I spoke with a young unmarried couple contemplating abortion. I'll call them Jen and Larry. They both professed Christianity, but didn't appear to understand what being a Christian means. At some point we mentioned God's forgiveness, and Jen asked too eagerly, "Does God forgive an abortion?" That question requires more than a one-word answer, because either "Yes" or "No" would be misleading, with possibly fatal consequences. I tried to explain that sin, including the sin of abortion, is very serious--not something to be planned, committed, and forgiven automatically. But I also wanted her to understand that God can forgive someone who has truly repented of an abortion. I have tried to think of a clearer biblical answer. Here's another attempt. Question: "Will God forgive me if I have this abortion?" Answer: No, not in your present spiritual condition. Not with that attitude. God's forgiveness is not automatic. It comes only when our sorrow for our sin is real enough that we would not do it again if we could do it over. If you have this abortion, you may or may not ever find forgiveness. God will only forgive you after you have come to the point that you deeply regret this abortion. You will first have to realize that you have violated one of the most sacred laws of the God who made you, and that nothing you can do can ever make up for it. While that may not be the best answer, any answer must address the common "Grandpa in the sky" view of God that makes God's forgiveness a common and expected thing. This popular "cultural Christianity" takes the sacrifice of Christ for granted. It turns the sinner's only hope of mercy into an insurance plan for continued sin, and tramples under foot the mercies of God. "Shall we continue in sin that grace may abound? God forbid." As Christians we must be careful to let sinners know that forgiveness is available, but we must also guard them against presuming upon His mercy and continuing in sin. Update: Jen later scheduled an ultrasound, and after seeing her baby, she told a counselor that she would keep the baby. This reminds me of a story that Philip Yancey related in his book, "What's So Amazing About Grace?" He tells of a fellow pastor who confessed to him that he had been having an affair with another woman and was contemplating divorcing his wife so that he could marry his mistress. He then asked Yancey, "Do you think God will forgive me if I do this?" After some thought, Yancey replied, "I believe God will forgive you, but I seriously doubt that you will ever be willing to ask Him." If we have already hardened our heart towards God's commands before we intentionally commit sin, we are doing despite unto the spirit of grace. To be right with God in such cases would require us to not only repent of the sin we have committed, but also of the rebellion and presumptiousness that led us to such a place to begin with.